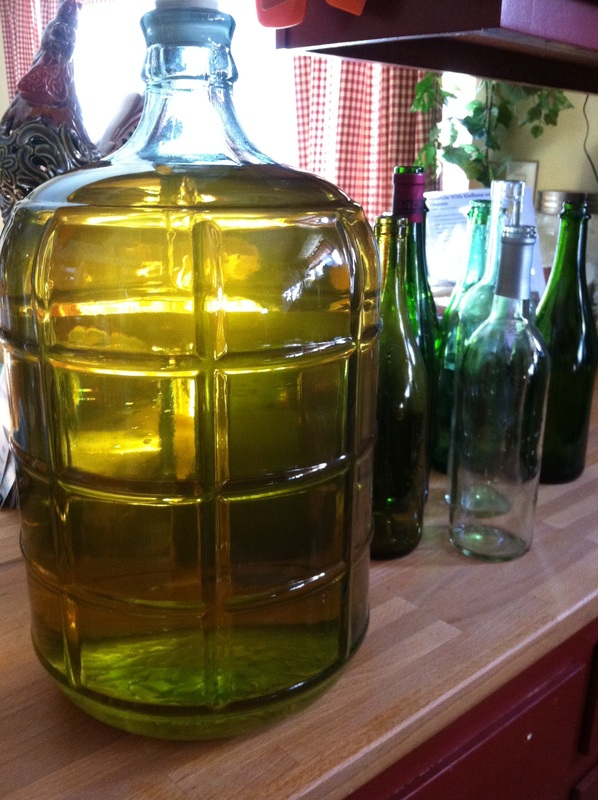 Mission Pineapple Wine – Complete! If you recall, I started my wine making journey back in July. As of January, my mission is complete and now I just have to patiently wait for my wine to age. It was a long process with not a lot of hands on time but a lot of waiting time. I’m totally doing it again! 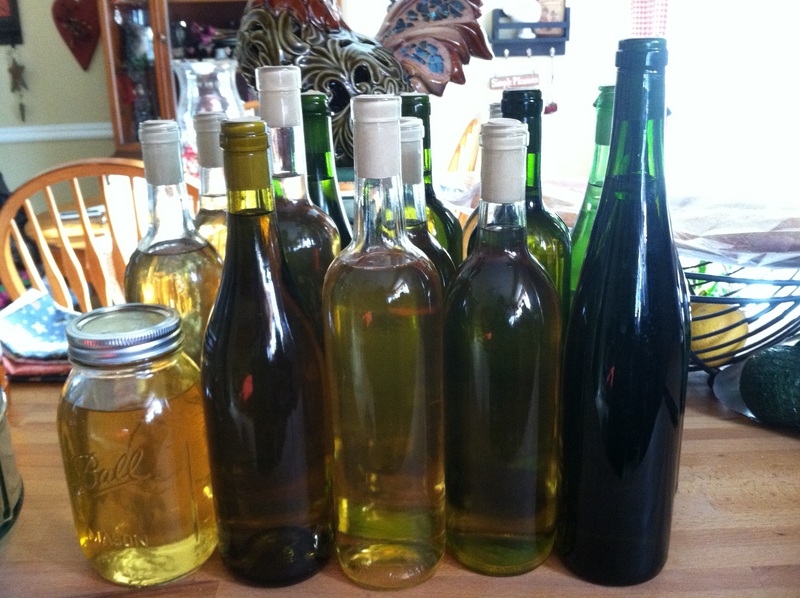 It’s awesome to look and see that i’ve got a shelf full of homemade wine. Originally, this wine was dry, similar to a chardonnay. I’m not a huge fan of dry wines, so I decided to stabilize my wine and sweeten it. I then let it sit for a couple more weeks just to make sure the yeast was in fact dead and I wouldn’t have a bunch of corks popping out of my wine bottles once I bottled it! Right now the wine has a strong alcohol taste, which is why it needs to age. Over time that will decrease and the flavors will meld and smooth out for a pleasant drinking experience. I followed the recipe in this book and tripled it (it seems like a lot of effort to get only one gallon of wine, so 3 gallons was more worth my time). It’s got some decent details, however you want to have a little bit of knowledge about wine making. The main thing is you want to make sure EVERYTHING you are using – utensils, measuring cups, buckets, carboys, bungs – are sanitized. Otherwise it can ruin your wine. Ruined wine would be bad. This summer I’m going to make a watermelon wine. Next I’d like to do a red fruit wine – either strawberry, cherry or raspberry with a canned fruit from the local wine & beer supply place. If the results are good, I’ll post the recipes! Before trying the legit wine making method again, I’m going to make what the internet is calling “prison wine” – which is fruit, water & sugar. To up the alcohol content, I’m going to add wine yeast. I’ll be documenting the process for you! The 3 gallons yielded me 14 bottles + 1 quart mason jar. Not bad. Once I get a couple other batches going we’ll have a nice homemade stockpile. Heat the water. Drain the juice (reserve for later use) from the fruit, place the fruit into a nylon straining bag, and put the bag in the bottom of a sanitized primary fermenter. Add the fruit juice to the warm water. Add 1 1/2lbs of the sugar and stir until dissolved. Be sure it is dissolved and check the PA. For this wine you want about 12% potential alcohol. If the PA is below 12% add the additional 1/2 cup sugar. (you most likely will need to)Measure the PA again. Do not worry if it is a degree off. Pour the water and sugar syrup mixture over the fruit in the fermenter and add the acid and yeast nutrient. After the must cools, add the crushed campden tablet if you choose to use one. Cover and fit with an air lock. Twelve hours after the campden tablet, add the pectic enzyme. If you don’t use the tablet, you can wait until the must cools and add the pectic enzyme. 24 hours later, add the yeast. Let it ferment for 5 days, stirring daily. When the PA falls to 3-4%, remove the fruit. Drain it well but do not squeeze. Let the wine settle, then rack into a gallon jug (or whatever size jug required depending on if you double/triple the recipe). Bung and fit with an air lock. Rack the wine once or twice over the next 3-6 months. When fermentation is done and wine is clear, taste it. If you want it sweeter, stabilize it and sweeten it with dissolved sugar or boiled honey, then bottle. Note: to give the wine more body, I added 1/2lb of golden raisins. I did sweeten my wine as it was too dry for my liking. I racked my wine twice in between July 4, 2011 (first added to carboy) to January 22, 2012(bottled and ready to age) to get rid of any excess pulp/yeast at the bottom of the carboy. And I did squeeze my fruit to get out every last drop of fruity goodness. It just made a little extra pulp that I had to filter out. For my corks I used synthetic corks because they don’t have to be soaked prior to using, and it allows me to store my wine bottles upright instead of on their sides. No worries about the corks drying out! Wedding soup is one of those things that I can remember eating all my life. It was filling and wonderful, especially after a day spent outside playing in the leaves or the snow. As an adult, it’s great to have on a cold day in front of the fire as a way to unwind after a busy weekend. My Bubba had made it all while my mom grew up, and my mom then put her own spin on the “recipe” to make it her own, and I have now done the same. Now, the reason for “recipe” is simple – there isn’t one. My Bubba didn’t write down or measure anything when she cooked. It was just common knowledge she filed away in her brain and would make from memory. Now I know my mom did this too because no recipes exist in all of her things, and she had never given my sister and I anything even remotely resembling a recipe. Essentially these recipes, such as this one, exist from observation. My mom would observe the things my Bubba would use to make something, and over my childhood I did the same. This recipe here is one I took the time to monitor what I was putting into the soup and it’s essentially a guideline. Cooking is something you should make your own, whether you follow a recipe, memory, or improvise and go from scratch. You need to stick to the basic components – meatballs, broth, spinach and carrots. The meatball recipe I listed is almost the same version I use when I make meatloaf, minus a few ingredients – just add some ketchup and coarse ground mustard and you’ve got meatloaf! Feel free to make whatever version of meatball you like, or add/remove any ingredients from my recipe to make it your own. Again, this is a large yield soup recipe. 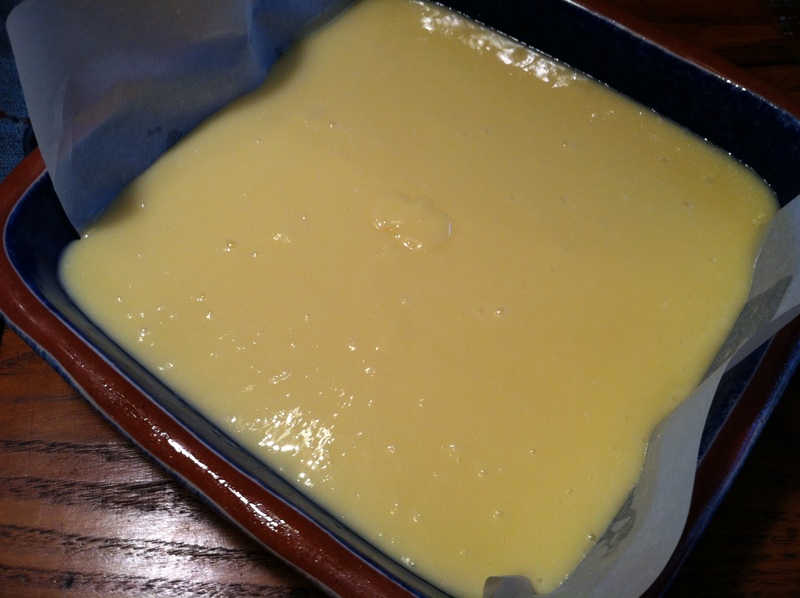 Cut it in half or make the whole batch and freeze part of it. If you are going to freeze it, leave the pasta out of the portion you want to freeze, that way it won’t get mushy.Note that there is no call out for shredded chicken in my recipe – I omit this step because the meatballs are a mix of beef and turkey, so we’re still getting the poultry component and it just makes it quicker skipping this. Noone misses or notices anyway. Leaving the chicken out lets the meatballs be the star! 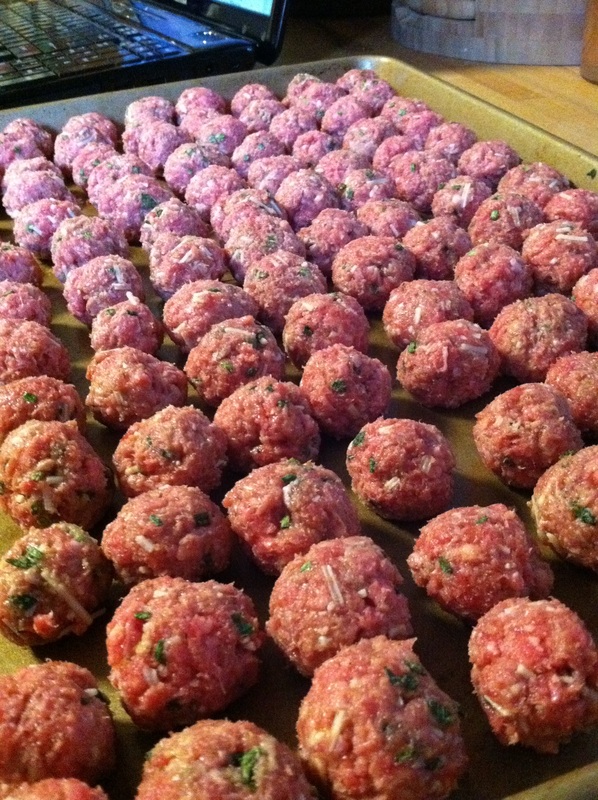 My last word of advice – don’t cheat and use store bought meatballs. 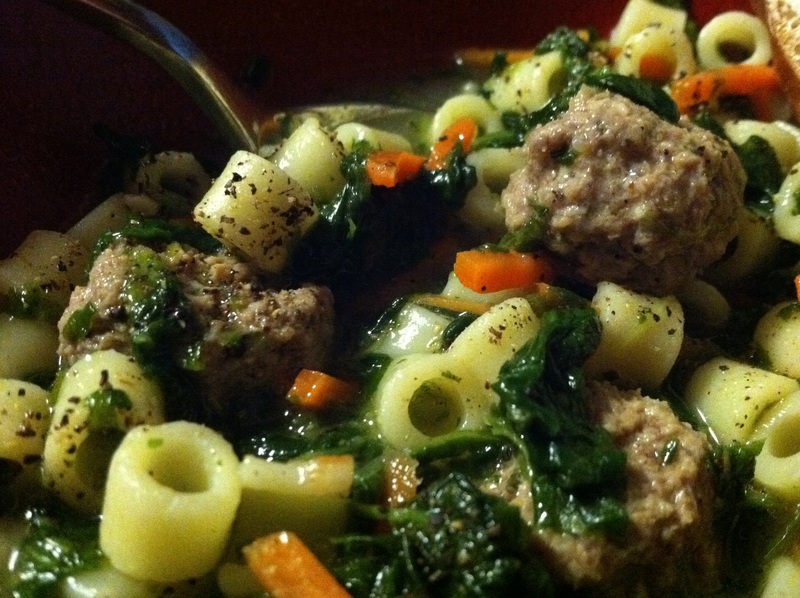 Wedding soup is so simple to begin with, and there is no substitute for homemade meatballs. There just isn’t. And people will know you cheated because no home cook makes perfectly portioned and shaped meatballs. Combine all ingredients in a bowl. Make bite size meatballs by taking about 1 teaspoon of the meat mixture and rolling it between your palms. Place completed meatballs on a cookie sheet. You should get around 200 meatballs, depending on what bite sized means to you. I got about 196. Set aside. Bring broth to a boil in a large soup pot. Once the broth starts to boil, add the meatballs, one at a time, SLOWLY so you do not splash yourself with molten hot broth. About halfway through adding the meatballs, give the pot a stir to avoid any of the meatballs sticking together. Once all the meatballs are added, let them boil for about 10 minutes. Add the bags of shredded carrots and minced garlic, letting boil for about 5 minutes. Add Ditalini pasta (if freezing some soup, remove portion that you would like to freeze BEFORE adding pasta. Adjust amount of pasta you add depending on how much soup remains.) Cook pasta as directed, about 10 minutes. Shut off burner and add spinach. Stir until combined and heated through. If the pasta has soaked up too much broth, add the additional carton of broth. I am a country girl at heart. I may not live in the actual country, not enough into the country anyways because I can still see other houses, cars, and people from my windows, but I love all things country. I love that cozy home decor style. I want people to feel comfortable when they come to my house. Relaxed. At ease. Not like a guest, but like they belong here while they are here. And I think they do. At least people say all the time how cozy our house is. 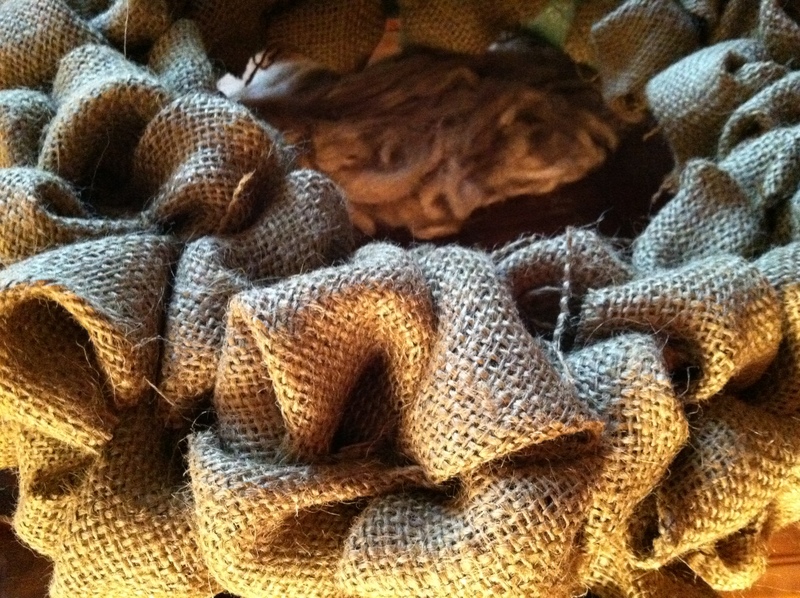 Now, with all those warm fuzzy words, burlap does not itself emit warm and fuzzy feelings. Not by itself of course. BUT, turn it into a candle wreath, light the candle, viola!!! Warm and fuzzy. I found this wreath through pinterest, and I had pinned it planning to get to it eventually, and originally it was meant for a door wreath. But my friend Kelly utilized it as a centerpiece on her holiday table with a hurricane and candle. And I was once again inspired to make it. I plan on making another one as an actual door wreath, and instead of pinning burlap all around it, i’ll wrap the foam wreath ring in fabric and then pin the burlap loops to the front so it lays nicely on the door (our door is a big window that we would be able to see the back of the wreath, and green foam is not so nice to look at!). This project is simple, requires zero sowing, but patience and some time. And LOTS of pins. Make sure you purchase the extra long silver pins. Otherwise you’ll go through even more pins attempting to keep the burlap squares in place. In the tutorial links below, they used the pins with the colored heads, I avoided this because there are sections where the pin is not totally hidden and I didn’t want any random color tops popping out. You will need one yard of burlap cut into 4×4 inch squares – don’t worry about it being a perfect square. burlap is a pain to cut, so you’re going to have some oddball pieces. it works. foam floral wreath, in whatever size you require. I used a 12 inch wreath to fit my needs. And here are links to a couple of the tutorials. I wasn’t that worried about making it look neat and organized like the first tutorial. I like that mine is a little rough and loopy as the second link is. Just like me! 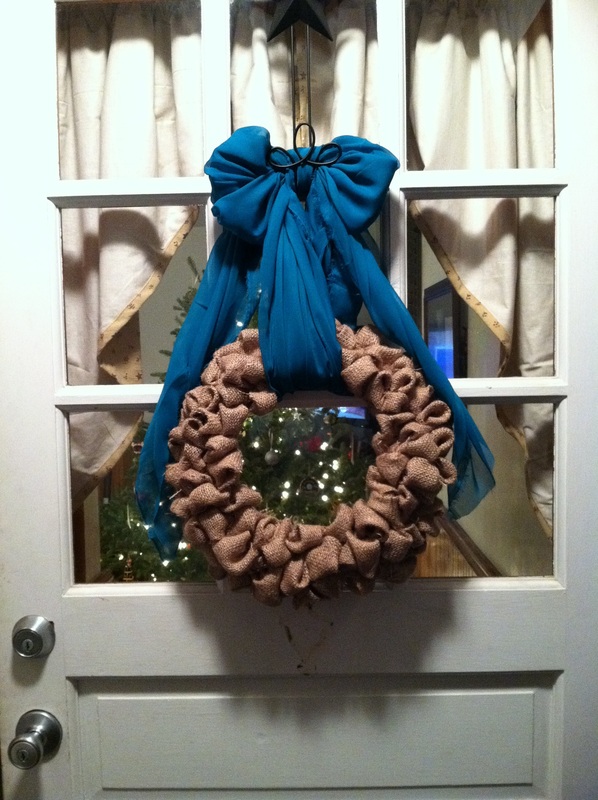 And here is the latest update: I made the actual door wreath – still using the same materials called out for the original burlap candle wreath, but I wrapped the foam ring in 3 strips of burlap so when looking out our door the back looked as pretty as the front. 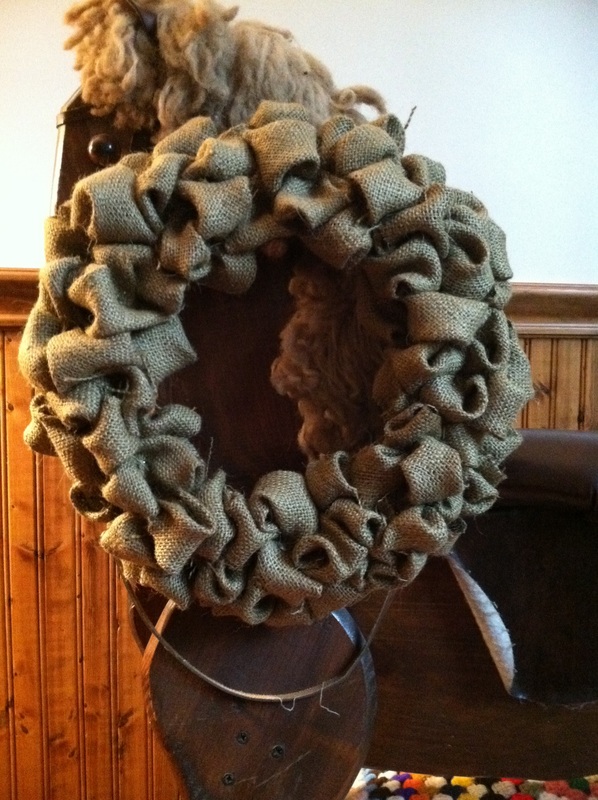 I used 1 1/2 yards of a flowy material to hang the wreath, leaving the edges of the material raw and frayed to go with the rustic look of the burlap. 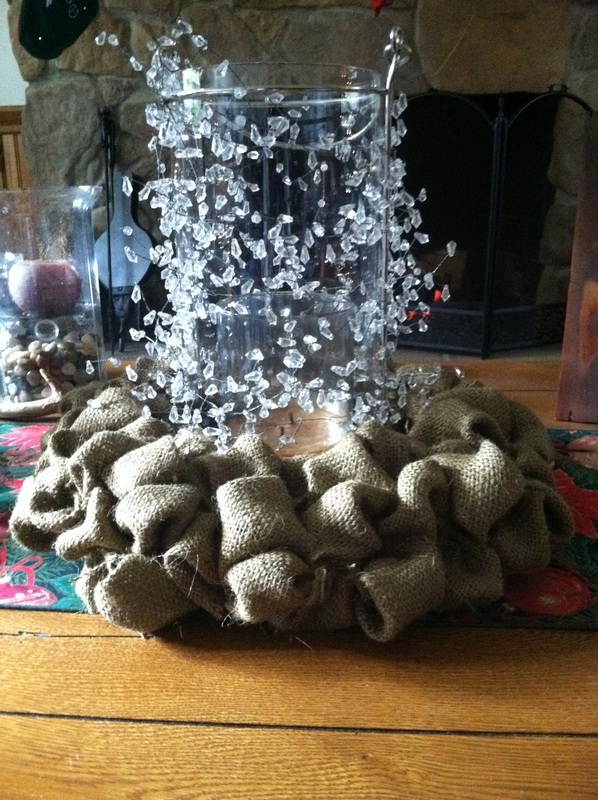 I just tied it into a pretty bow and twisted the loose ends of the fabric to make it look nice. I love the result! Mmm….bacon. Such an amazing foodstuff. That salty smoky flavor…that crispy crunchy goodness. Yum. And apologies in advance, I was in such a hurry to get the dip out I forgot to take a photo of the heated cheesy bubbling goodness from the oven. Just take my word for it, it’s awesome looking. And tasting. This dip is D-E-L-I-C-I-O-U-S!!!! And so easy to make. And a real crowd pleaser. I made this for NYE last year and this year, and it was devoured. Almost nothing left but the bread! For the bacon I use the precooked type because it only takes a couple of minutes to crisp up and doesn’t have to be drained as much. Feel free to use turkey bacon in place of the regular if you are looking for more calorie cutting. 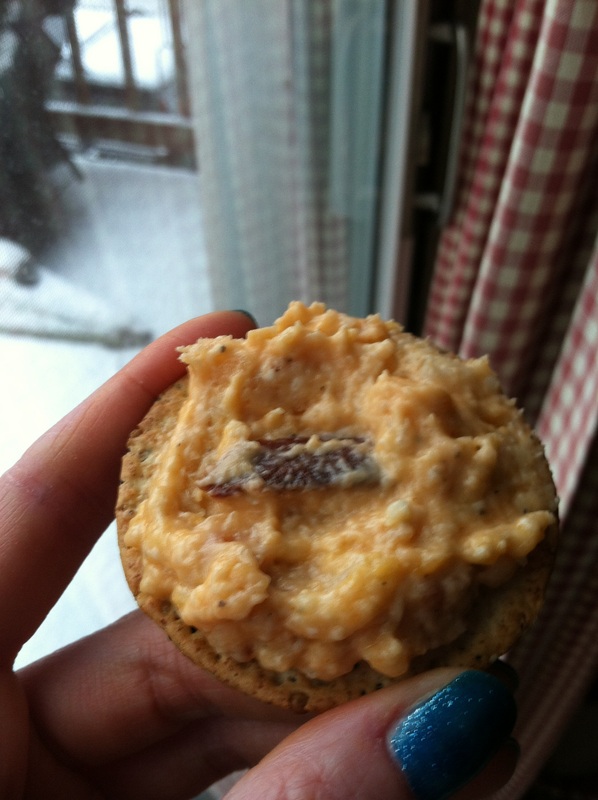 If bacon isn’t your thing, you could leave it out and still have a really flavorful dip sure to please. 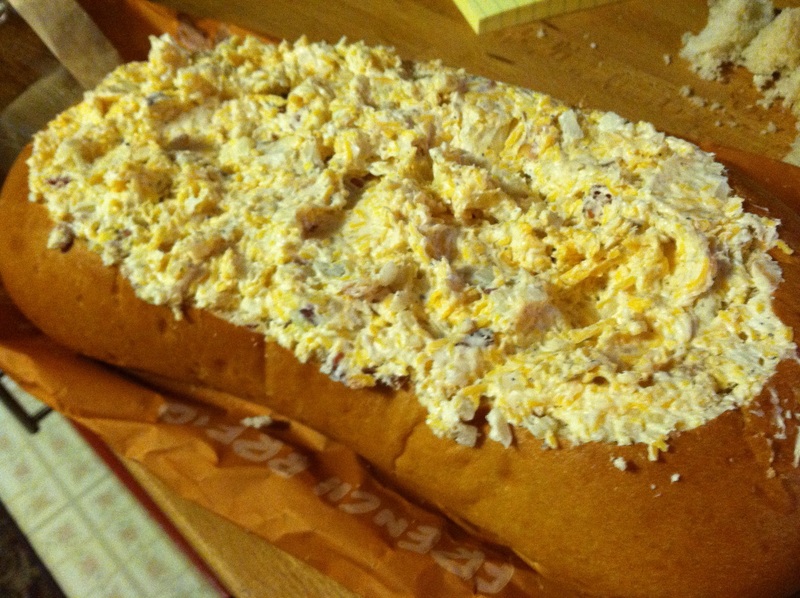 You could also bake this without a bread boat and just put it in a baking dish or in a crock pot for an easy appetizer. Slice out the center of your loaf of italian bread, making a bread bowl “boat”. 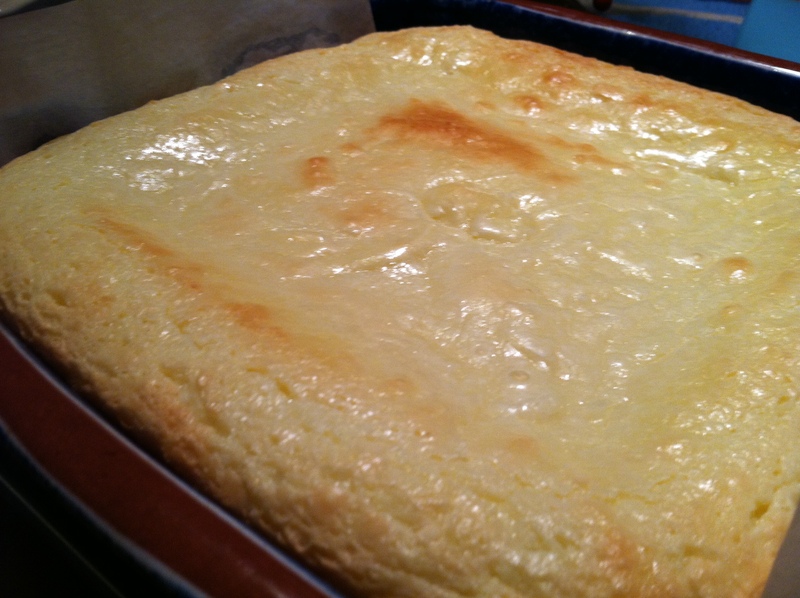 Hollow out the bread loaf to make room for the dip. Reserve the extra bread for dipping. Combine all remaining ingredients in a large mixing bowl, stirring to combine. Fill in the bread boat and spread out over the edges of the loaf. 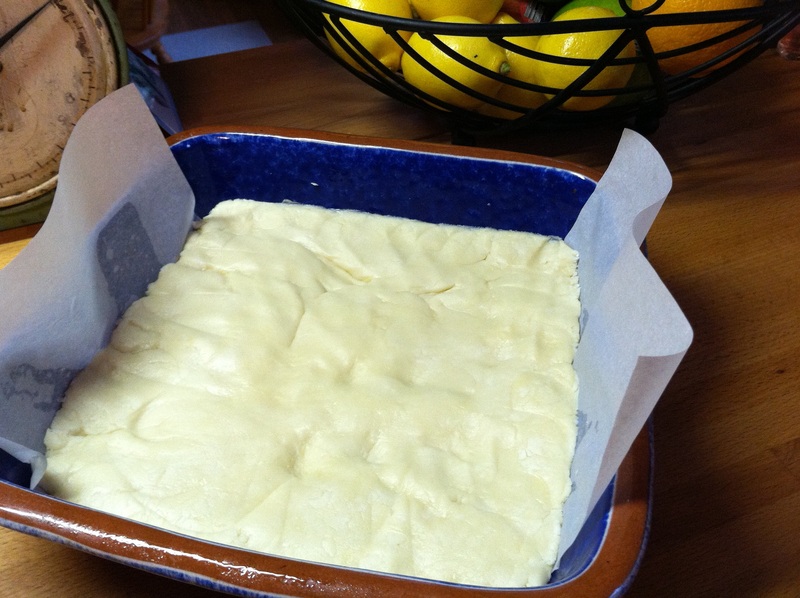 Place bread loaf in a baking dish and wrap in foil to keep the bread from drying out. Bake for 40 minutes or until heated through. 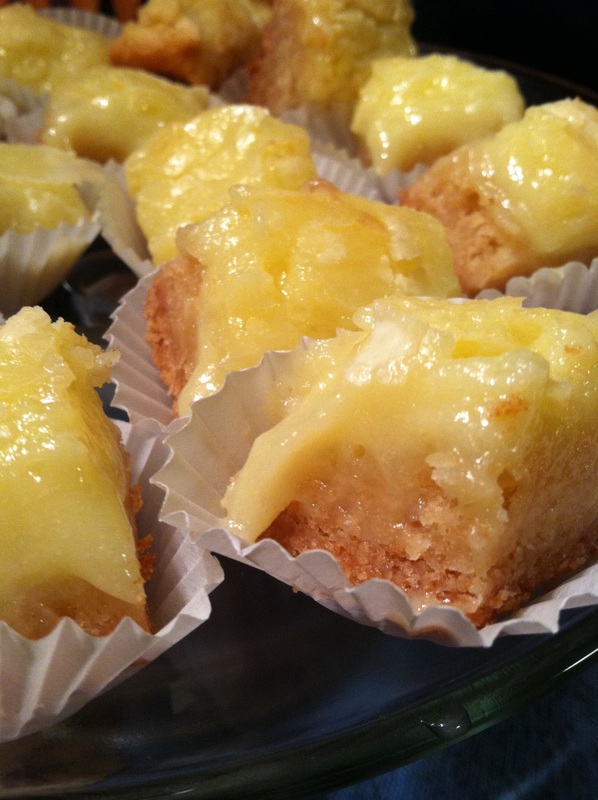 Remove foil and bake for an additional 5 to 10 minutes until the top is brown and bubbling. Serve with additional bread chunks, chips, crackers or celery. Or all of those things. In an effort to save money as well as be more aware of what is in the products I’m using, I decided to give homemade laundry detergent a try. 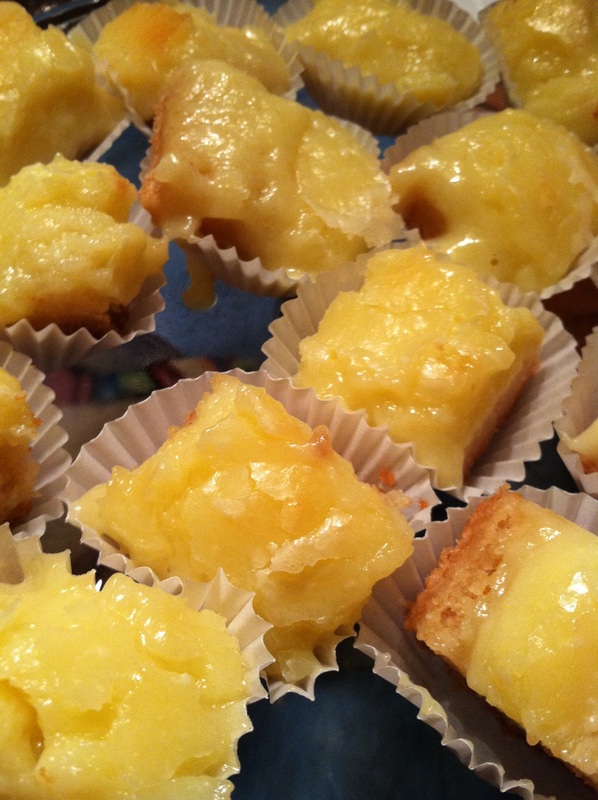 My first batch I made and shared with a few ladies who came to Christmas Eve, like a party favor. The cost for the laundry detergent ingredients, 4 containers, and 2 coffee scoops was under $25!!! The cost for just the laundry ingredients? Wait for it…wait….$10.83!!! Yes, you read that right. If you use only 1-2 tablespoons of the detergent at a time you’ll get over 400 loads of laundry out of it! I use a heaping coffee scoop (or the scoop from the oxy clean is the same amount) so I’ll get about 200 loads of laundry out of it. 200!!! Holy bananas! This laundry soap is safe for colors, and can also supposedly be used in the fancy HE washers based on what I’ve read on the internet to recipes that compare to this one. I found every ingredient in the laundry aisle at Wal-Mart. Be sure to do this somewhere you don’t care about dust. To avoid the dust, I used a 5 gallon bucket lined with a garbage bag, added all the ingredients, twisted the bag top and shook it all up. Store in an airtight container or a lidded 5 gallon bucket. 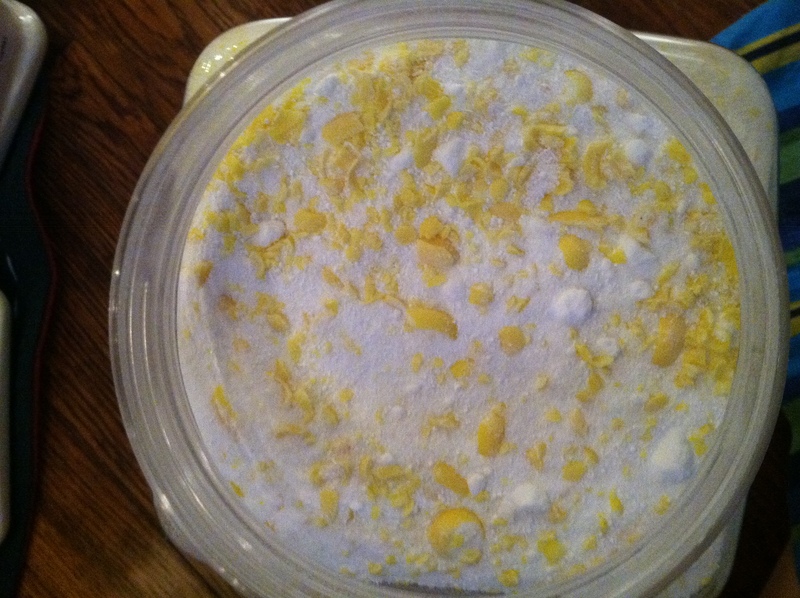 It smells pretty strong when you start mixing everything up, but leaves only a very mild scent on clothes. I haven’t found any spots of unmelted Fels-Naptha or detergent on any clothes. I sprinkle the detergent around the washer and start it filling, then I add the clothes just like I normally do. This detergent has little or no suds, so no worries about the movie nightmares of a washer overflowing with soap bubbles. Once I figure out the ratio to turn this to liquid detergent, I’ll post those details. 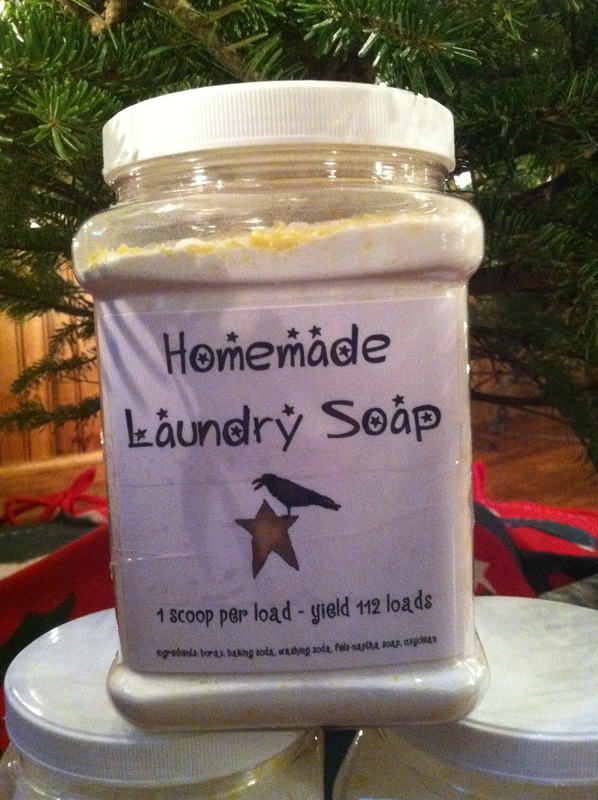 Next up is homemade fabric softener! I still use good old snuggle for my fabric softener because I love the feel of laundry with fabric softener. Without everything feels like sandpaper. One step at a time! Grate the Fels-Naptha on a cheese grater. Add all ingredients and mix until combined! That’s it!